This game is really fun. Frustrating, but fun. I have come to love it. I really have I’ve had it for several months, and I still play it multiple times a day. My only problem is with the latest update came an ad at the bottom and it won’t go away. The ad is IN THE GAMES’ PROGRAMMING. I got the game that it is advertising too. That’s a good game also. But please developers, I know you have to advertise your stuff, but can you remove that. Or make it smaller. Or not a gif. Any of those would work. But please do something about it. It’s distracting. Thanks for reading. Who needs Flappy Bird? A+ for Pancakes!! I was a silent Apple user, on a perilous quest to find the most frustrating, yet enchanting games. When I found Flappy Bird several years ago, I thought I had found my mortal enemy... but alas, they vanished from the AppStore, never to be seen again. I have searched for what seems like decades after, trying to find a worthy opponent... and finally, I have found it. 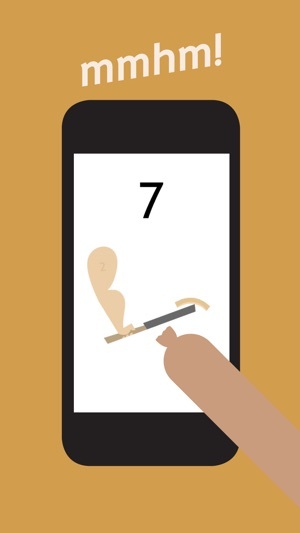 Pancakes is a charming, yet simple game, that is just as frustrating as the classic Flappy Bird. The concept is easy enough: flipping a pancake and catching it on a pan. 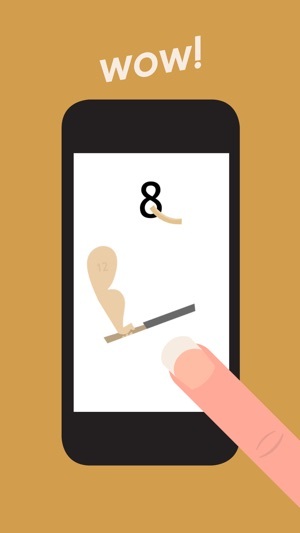 But the unique controls and difficult physics of the game make this app ADDICTIVE, and will leave you craving for more. Some users are complaining that the game could be less boring, but I find the minimalistic style refreshing. The only complaint I have is where I can see the Game Center icon, but can't access it. I'd love for this to be fixed! The graphics of this game are spectacular, I have never seen such realism. The blank white kitchen reminded me that no one has hope in this world. But the arm, the floating arm, tells us that anyone can have hope, which is the beautifully delicious blueberry pancake. This game reminded me of all the hardships I had to face, and got me through them in my time of need. This game gives me a reason to keep going, those blueberries won’t eat themselves.